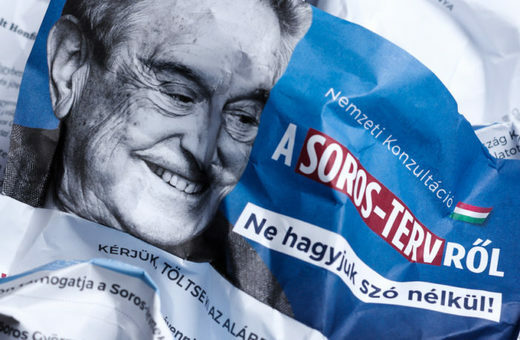 The European Parliament’s debate on the rule of law in Hungary will be a “George Soros-type seance, an election rally, a campaign event”, Prime Minister Viktor Orban told public Kossuth Radio. Orban said he had always fought for “the Hungarian national interest” but he would not aid and abet next week’s “pro-migration campaign event” in Brussels. The European left wing’s Spitzenkandidat, Frans Timmermans, who is currently the first Vice-President of the European Commission, is “Soros’s man”, he said, referring to the American-Hungarian billionaire. “Soros is now open about wanting to take over European institutions”, the prime minister insisted. The progress of the infringement procedures against Hungary, which the commission decided to step up on Thursday, is also a sign of Soros’s big influence “and that he wants to increase it even further”, Orban said. This attempt should be thwarted at May’s EP election, “where we want pro-migration MEPs to be left in minority”, he said.